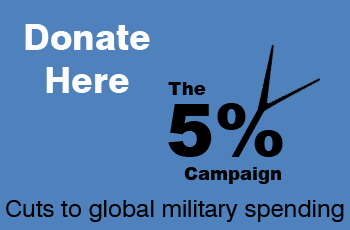 Currently 60% of global arms sales go to developing nations from a handful of rich nations. China is also now expanding arms sales to the continent, such as recent $8bn Sh arms purchase from Kenya in 2015. While all efforts must be made to work on conflict prevention; on support for communities and societies experiencing conflict or full blown war; on post conflict resolution – the role that military spending plays, whether in a national or international context, must also be factored into such work and addressed by all those whose work addresses the causes, the means and the consequences of ever rising military spending. In relation to the African continent, below is a snapshot in visuals and further reading conveying why this matters. The arms trade treaty– an effort to monitor arms sales – does not address this bigger picture context. In the way that debt cancellation, trade justice, tax justice and climate justice campaigns all addressed underlying structural, geopolitical issues that frame the power relationship between the global north and the global south, so military spending is also a lens through which to understand this relationship and the disastrous human and economic and consequences that flow from it.